Field crickets are difficult to identify down to the species level. 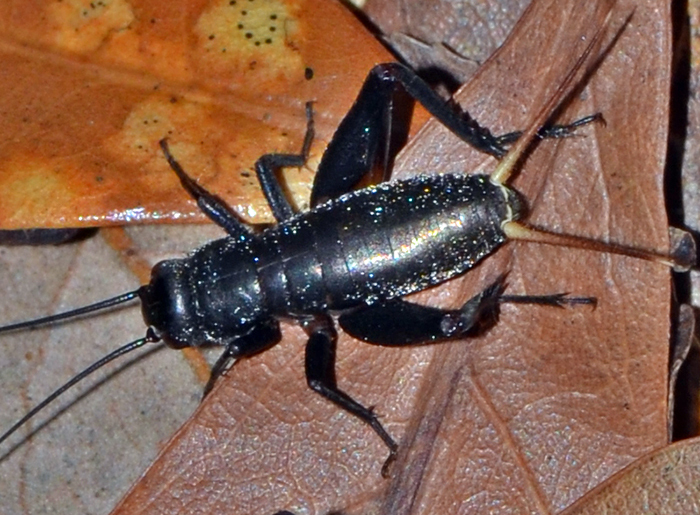 In the US, Gryllus has 16 species which are typically 15-30 mm long and darkly colored. Until the 1950s, native field crickets in eastern North America were all assigned to a single species, Acheta assimilis. Although regional variation in calling song and life history were noted, no morphological characters could be found to reliably distinguish these variants.